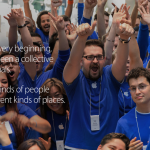 The message essentially echoes the sentiment expressed by Apple CEO Tim Cook on Twitter. 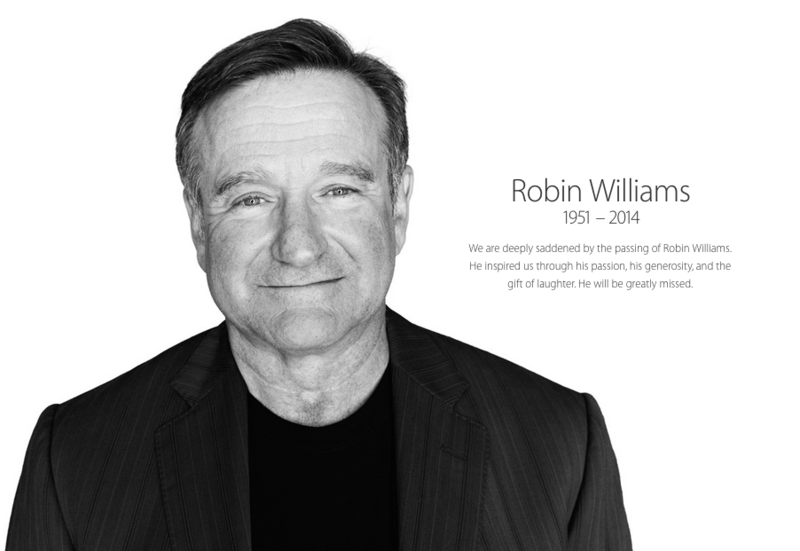 "Heartbroken by the news of Robin Williams' passing," he tweeted. "He was an incomparable talent and a great human being. Rest in peace." If you can't see the video embedded above, please click here. Williams joins the likes of Beatles member George Harrison, civil rights activist Rosa Parks, African anti-apartheid revolutionary Nelson Mandela, and Apple cofounder Steve Jobs in the short list of iconic individuals to whom Apple has paid tribute on its website. Apple has also posted a special section on the iTunes Store dedicated to Williams' impressive work in film, television, and standup. Williams is also heard on Apple's iPad Air TV ad titled "Your Verse," which kicked off the company's campaign of the same name last January. The ad, shown above, features a voiceover speech delivered by Williams in the film "Dead Poets Society," which poses the question, "What will your verse be?"